Decorate your yard with this fun Airblown inflatable character. 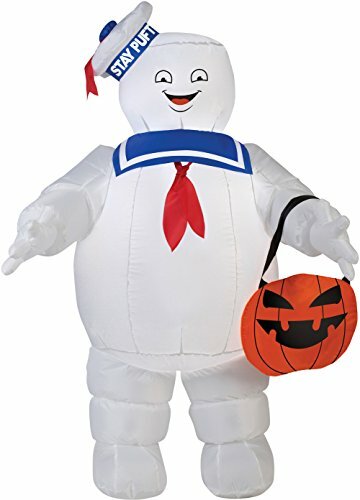 The Stay Puft Marshmallow Man greets guests while holding his pumpkin tote. Plug it in, stake it down and watch the magic of this Airblown Inflatable unfold. Lights Up - Self-inflates in seconds, easy set-up, everything included.